Turn your bed into a magical dream world. As seen on TV Dream Tents are unique tents designed to fit up and over existing beds. Children can enjoy protection from the dark, scary things that come out at night. 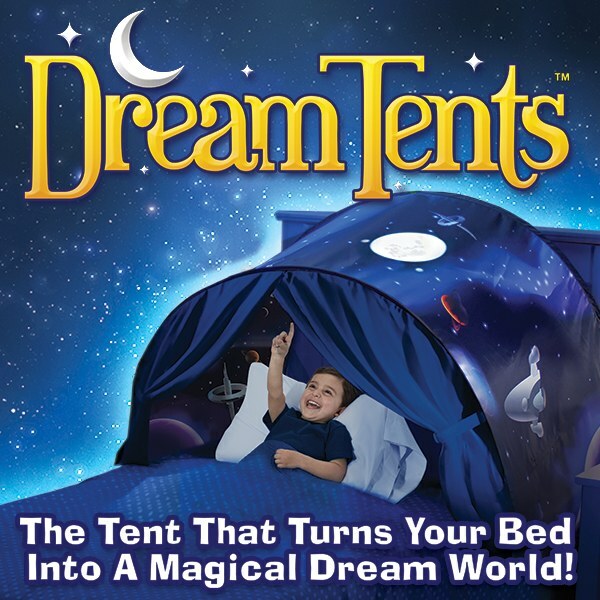 Dream Tents are easy to set up and easy to store. They pop open and fasten the bed in just seconds. Fits all twin beds, and even works on bunk beds. To store them away, just fold and return to the storage bag. Dream Tents are made from a durable material that won&apos;t easily rip or tear, and are built to last for years. Great for birthdays, holidays or special occasions. Makes a great gift. its nice.. but don&apos;t be fooled.. it does NOT light up.. its not as easy to set up as it looks in the video but still cool for kids. My granddaughter loves this. Wish it was available for a full size bed.